School Choice: The Good, the Bad and the Ugly. School Vouchers. An amount of money is calculated that supposedly corresponds to the cost to educate a student in a district, usually for one year. That money is given to the family, who then chooses whichever public or private school they want their children to attend. Education Savings Account. Like school vouchers, families receive funds in an individual savings account. They can use a debit card to pay for educational services of all kinds, even at multiple institutions. Scholarship Tax Credits. The incentive here is a tax break for those donating to scholarship granting organizations or school tuition organizations. These scholarships pay for those choosing a private or public school. Individual Tax Credit/Deduction. This lowers income tax so that educational expenses such as tuition and most other related costs can be paid for. 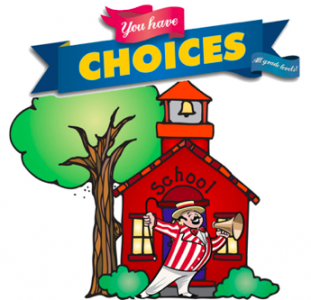 Who is doing what to whom–the landscape of school choice. Sixteen states currently have school voucher systems in place, but the participation is low–within the single or double digits. Six states have Educational Saving Accounts, again with very low participation rates. Nine employ Individual Tax Credit/Deduction methods with good participation percentages. 26 states offer Scholarship Tax Credits, but again with extremely low participation rates. Freedom is a wonderful thing, and so is local control of Americans’ lives and communities. If education can be considered as a basic human right, then this implies parents should have the liberty to choose where to send their children to school. School choice might be a door-opener to innovation and productivity within a school. When you must compete for your students, you innovate and create highly desirable programs, project learning, and other ways to acquire necessary foundational skills. Many impoverished children attend poorly ranked schools; school choice could open doors to them previously closed by their nine-digit zip codes. Let’s say that a district has two high schools, and that private schools are sparse–and primarily religious. Most families might want to use their voucher money at High School A because it’s considered much better than High School B–better teachers, safer environment, nicer neighborhood, and perhaps a legendary football program. High School A’s physical facility will not accommodate everyone that wants to go there. Therefore, a situation of haves and have-nots has just been exacerbated, inviting more discord and even legal remedies to be sought. Additionally, if school money is given directly to parents, wouldn’t some of that money risk finding its way into places other than school coffers? Money can have a way of traveling in unintended directions. Many districts have long-term facilities debt currently. Schools have been built for a maximal number of projected students. Vouchers could result in those schools operating with far fewer students and by consequence, much less efficiently. Most educational funding issues have become political and partisan for many years now. School choice is no exception. Some say that we already have school choice–if you want to send your child to a private school, you may do so. Just pony up the tuition. It’s not the state’s job to finance your choice to do so. States don’t control private schools, so vouchers could hypothetically be used to subsidize a religious school. This could be completely counter to our American way of life and culture. School transportation systems usually cannot accommodate school choice systems. If you choose a school across town, you’re on your own to get your child there and back. I believe that some degree of school choice is on the horizon in many states. The alternative is to keep trying to make schools as homogenous as possible in their curricula, via Common Core standards. But schools and districts have never been monolithic. We could also throw more money at schools and hope for a better result. If you want to do that, just aim your throw exclusively at the teachers. At least by paying teachers what they are worth and unleashing their potential, we can hope to retain many more of them and attract good people into the profession. My state, Texas, is currently in legislative session and tackling these issues head on. Some earth-shaking things could come from this session. For example, Texas private schools do not take the State of Texas Assessments of Academic Readiness (STAAR) test or end-of-course exams. If you give public money to private schools, they might have to take on the STAAR test and a host of other constraints. Maybe–wait and see. Author: Dr. Robert Brescia serves as Founder & CEO of The Ethics House, a consulting startup designed to help cities and counties with their ethics programs. His latest book is Destination Greatness – Creating a New Americanism. Bob has a doctoral degree with distinction in Executive Leadership from The George Washington University. He also serves as Chairman of the Board at Basin PBS – West Texas public television and the Permian Basin American Red Cross. Please contact him at [email protected] or Twitter: @Robert_Brescia. One Response to School Choice: The Good, the Bad and the Ugly. Excellent synopsis of the issue!